Getting back into shape after a long layoff or starting up a new exercise program can be rough and often lead you to fail right from the get go. Here are seven tips to keep you focused and started off on the right path for your fitness goals without beating yourself into a pulp and quitting before seeing the fruits of you labors. I can't emphasize this enough since everyone wants results, YESTERDAY! Yes, yes, I know you want the body you want, RIGHT FRICKING NOW! However, it took some time for you to get into the condition your in now, so it's going to take a bit to get your body back on track. And this doesn't happen fast. So take your time, go easy and slowly dip your toes into the cold water and adjust over time. It's not like jumping into the icy cold lake and getting it over with. It takes time. Give your body time to adjust and keep on making improvements. Now movement prep is exactly how it sounds. You're prepping the body to move. You can do this a couple ways, but just think calisthenics. 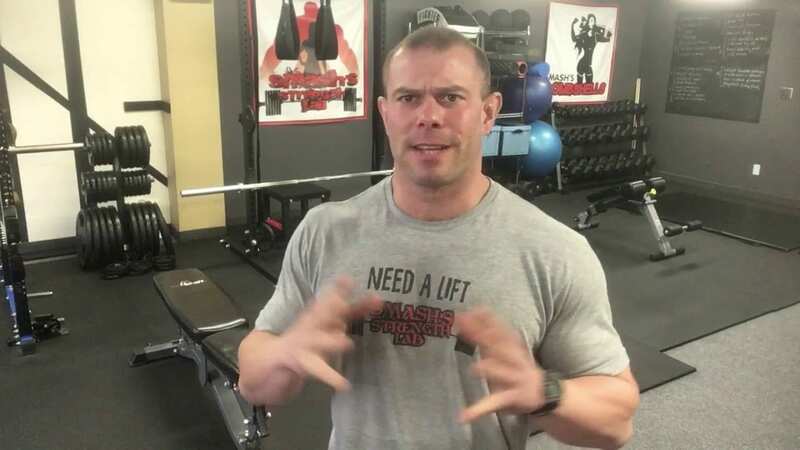 Here's a quick video (back in the old Lab) of some of our favorite mobility drills to get the body warmed up and moving in the right direction. Sometimes this is a workout in itself, especially if you haven't been exercising at all or in a long time. Basically, this is just getting the body into a full range of motion (your motion mind you, don't try and overreach yourself at this point) and moving. This helps prep the battlefield for the work to come. Warming up and stretching is a key part of any program. It's often the first neglected piece of anyones program, because it's boring and not really the enjoyable part of the workout. Just start with some easy light cardio to get a sweat going and the blood flowing for a couple minutes. You're workout will be better, trust me. Then do some mild stretches on the tight muscles. Typically for most people you want to hit the hamstrings, quads, calves, glutes, upper back and lats, the chest and neck muscles to cover all your bases. Some lower body stretching ideas! Some upper body stretching ideas! I say this in order for you to ease into the training process and not totally annihilate yourself with every movement known to man. Remember, training is a long process and killing it on the first couple of days isn't going to help you, it's just going to make you sore and hate life. Start slow, process each week, make it a habit and keep getting stronger. Use a couple of big movements that burn a lot of calories and work a lot of muscles at the same time. We call these compound exercises, like squats, deadlifts, overhead presses, pullups, bench press, rows and dips. These are good foundational movements that will get you really strong and have you started down a good path to fitness. After your resistance training which should take about 20 to 30 minutes when you're starting out, do a small amount of cardio for your heart and lungs. You're training for less time, but try to train every day or every other day so that you develop the habit. This is a key part of the process. Make this a fun time for you that you can repeat for more and more time and intensity. You want to engrain this into your life so that you never miss a session. Remember, this is a time when it's just for you. And remember you're worth spending the time on. Your body is worth spending some sweat, blood and tears on, because you only get one, your whole life. At least until we can make surrogate bodies that will house our consciousness minds in, this body you have will have to do! If you make training a fun and enjoyable experience you'll have an easier time being consistent and wanting to go back for more. So don't punish yourself in your workouts, seek out some training patterns that you enjoy. Number seven...Work your workout into your routine! You have to make training into a lifestyle. The more often you do it, the more you'll crave to get it in. Exercise is like a drug. The more you do it, the better it makes you feel and the more you crave it. Pending you follow these steps and ease into the process it won't be long before you feel terrible when you miss a session. Because exercise is the key to having a successful and productive life. There's a reason why so many of the worlds most successful people train and workout like beasts. It keeps them productive, fit and healthy so they can operate at a high level. For those who don't workout, the benefits of this drug-like effect are never found. Hopefully, you'll take this advice to heart while you'll beginning your journey into the fitness realm and it becomes a habit. My only hope for you is that you'll be able to sustain this effort for your whole life. Fitness has helped transform my life into something meaningful and wonderful, where there was at one time where life wasn't such a joy, joy and happy place. Lifting weights and helping others learn about fitness has changed all that. Hopefully it'll be the same for you.